Black buzzers are, again,the mainstay and a figure-of-eighted pupal pattern on a floating line has been a reliable go-to.The lee of the island on the Doxford lake has provided consistently good pegs. Anglers fishing just prior to or post-hatch should opt for a bloodworm.Pinkiies and traditional single-strand floss imitations were excellent. In a good blow,move the flies quicker,but slow things right down or perhaps suspend beneath an indicator if things are cool. Dark nymphs and the usual lures still account for good trout too.Black wooly buggers and cats whiskers are the pick of the latter. 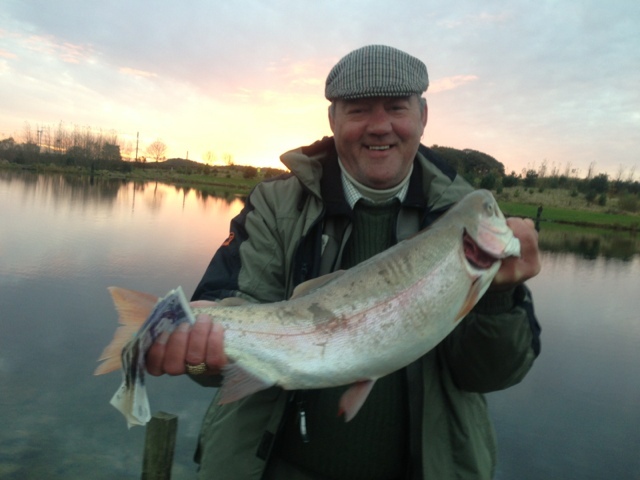 The Catch of the week was returned by Ross Middleton a Massive 20 lb plus Rainbow that Ross from Sunderland gentle returned. 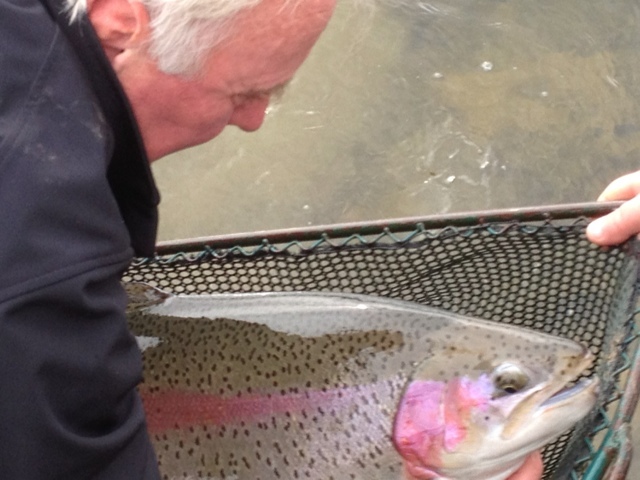 A fine specimen fish that was fully finned and despite its size gave a good fight. 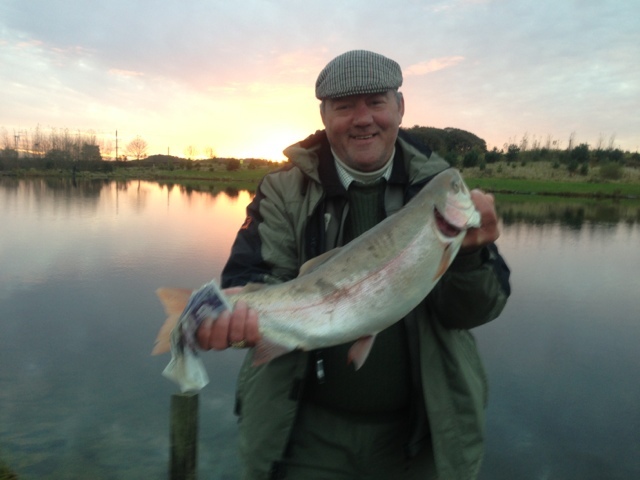 Other Doubles caught this week was a 11lb 8oz rainbow that Ian Ritchardson from Langley Park released and Jim Hall from Birtley took a 10lb 20z Trout. 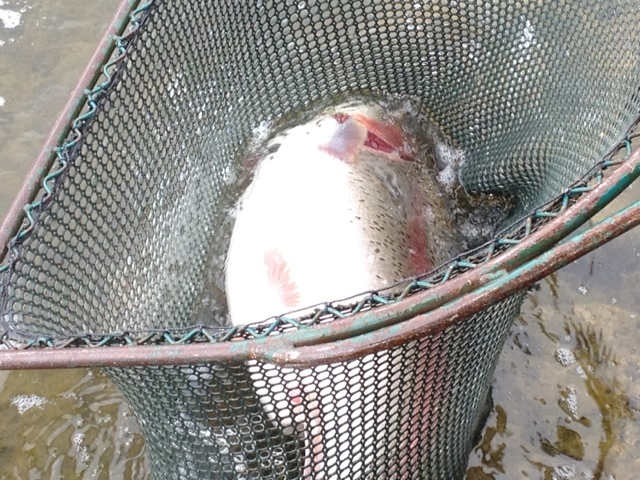 Dave Cardwell from Darlington netted a bag of 12 fish including a 10lb 9oz Blue. Dave Renshaw from Coundon, Bishop Auckland netted 14 Trout. enticed willing chasers at other times. Bloodworm patterns are excellent pre and post hatch. can be tempted with hare,s ear emerges. The cold snap on the North East Coast simply meant the best buzzer hatches were to be had later in the day and that there was an increased need to fish bloodworm imitations and well-sunk lures. Afternoon sun at Sharpley though, encouraged huge cinnamon sedge to put in an appearance and the smattering of late olives resulted in plenty of dry fly action. The cool weather saw sport on the upwind pegs giving the best evening sport and emergent hare's ears and black midge patterns proved their worth-giving superb late-season fishing in the sunshine! The usual buzzer techniques proved effective until the cold snap, when things turned decidedly bloodwormy. Both olive and black midge pupae imitations fooled fish prior to the mid-week coolness whilst during it blacks and traditional blood-red worms and pinkies were the answer. A static or dead-slow retrieve approach was the best. With the exception of those couple of days olives and cinnamon sedge were again in evidence during afternons with olive shuttlecocks and slimly-dressed green f's good at fooling the wind drifting adults-though it was usually essential to move them down-wind at the correct speed using careful line management.